A 50% charge will be incurred for treatments not cancelled within 24 hours of your scheduled treatment time. Late arrival will shorten your treatment time. 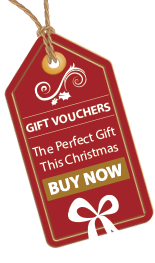 A gift voucher for The Spa at Portmarnock is the perfect gift for someone special. You can purchase a voucher from the spa reception, main hotel reception, over the phone or online. If you are a voucher holder please present on arrival.